Limited Edition Pink Colored Vinyl. 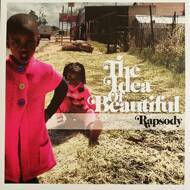 The recently Grammy Nominated artist Rapsody's debut album, The Idea of Beautiful. Production from 9th Wonder features Mac Miller, Ab-Soul, BJ the Chicago Kid, Raheem DeVaughn, Cool Kids, and more.